Following the revised crib standards recently implemented, the U.S. Consumer Product Safety Commission (CPSC) has now unanimously approved a new mandatory standard to improve the safety of toddler beds. 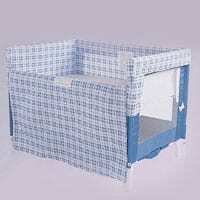 The new federal standard builds upon the current voluntary standard for toddler beds and adds additional protections to prevent injuries to children. CPSC is aware of 122 incidents from January 1995 through December 2010, including four deaths and 43 injuries associated with toddler beds.